The MKT is a tall wagon with three rows of seating and styling guaranteed to draw stares. Like its sibling the Ford Flex, the MKT defies categorization and has few direct peers. With a height of just under 68 inches the MKT is shorter than a minivan or SUV, but significantly taller than wagons like the Toyota Venza. The long body is wrapped around a conventional three-row interior with generous accommodations for occupants in the first two rows of seats. 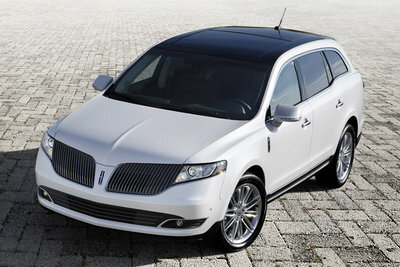 The three-row utility of the MKT is similar to that of 7-passenger crossovers like the Buick Enclave. The long bulky rear passenger doors could make getting in and out of the rear seat difficult in parking lots. The MKT offers both a 3.7L V6 and a turbocharged 3.5L V6 rated at over 350-bhp. Both front-wheel-drive and all-wheel-drive are offered.